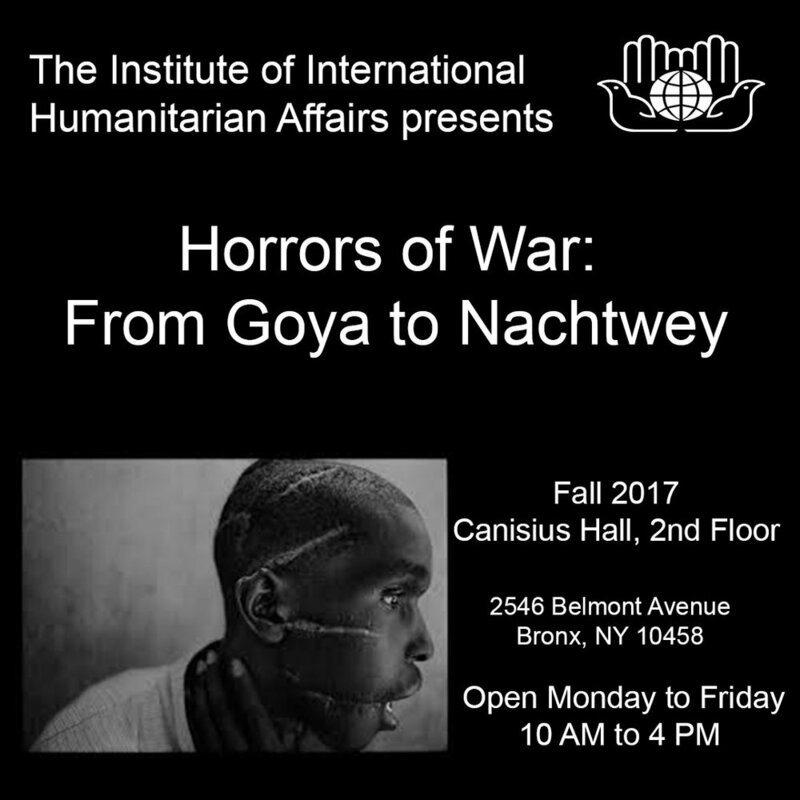 New York, 15 September 2017 – The Center for International Humanitarian Cooperation and Institute of International Humanitarian Affairs is honored to present Horrors of War: From Goya to Nachtwey, an exhibition highlighting the human condition and connection amidst atrocities of war. Horrors of War presents Francisco de Goya’s illustrations of 19th century conflict alongside photographs of modern-day warfare by world-renowned war photographer James Nachtwey. By bringing together two artists from centuries apart, the exhibition illuminates the cruelty and beauty that co-exists in some of the darkest parts of human history. Newer PostInaugural Fr. Miguel D'Escoto Memorial Lecture: "Spiritual Sources of Legal Creativity"